In the search for mobile payment identification that’s both simple and secure, biometric authentication is leaping to the forefront. A recent report by Juniper Research projects that mobile payments using biometrics will more than triple in 2017, jumping from $600 million to $2 billion. By using a fingerprint, selfie or iris scan to verify their identity, users can make authentication simple while reducing fraud. We’ve taken a look at the current state of biometric identification to see what’s on the horizon. With every successive generation of smartphones and tablets, more of them include fingerprint sensors. Juniper estimates that 60 percent of smartphones expected to be released this year have fingerprint scanners built in. This includes mid-range smartphones as well as high-end phones. Instead of memorizing pin numbers or passwords, or entering lengthy email and billing address, users can simply scan their fingerprint to validate a payment. This secure convenience is already an option on both Android Pay and Apple Pay. If you want another way to prove your identity, you could always take a picture. MasterCard will be launching its Identity Check Mobile service to American users by the end of 2017. 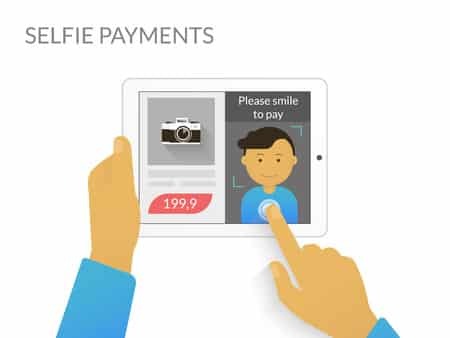 In addition to fingerprint scanning, the service allows users to verify their identity with a selfie. This picture is then compared to a stored image using facial recognition. MasterCard conducted a soft launch of this technology for 12 European markets in 2016 working with BMO Financial Group. While facial recognition is currently limited, it works well as part of a two-tier identification system. 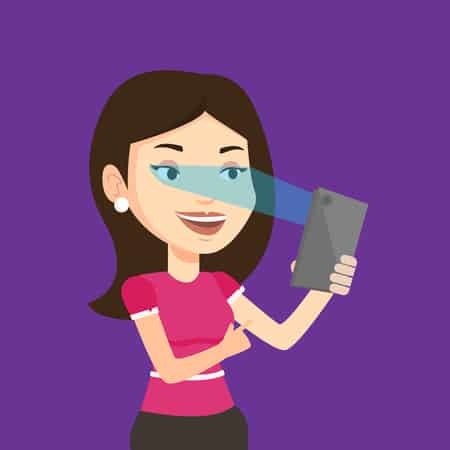 If you’ve seen Minority Report, you know where this is going, numerous companies are working on iris scanning technology for mobile payments. Samsung’s Galaxy Note 7 was the first mainstream smartphone with an iris scanner, though the phone quickly “flamed” out. The new Samsung S8 will have iris, facial and fingerprint technology that work together to provide maximum function and security. Meanwhile, Apple is reportedly developing an iPhone iris scanner that could debut in 2018, while LG is rumored to be working on the technology for its long-awaited LG Pay. Mobile payments are growing every year. They could even replace cash for good as early as 2030, according to a recent cybersecurity report from IEEE. With that comes the demand for verification methods that are easy and protect users from payment fraud. Biometric authentication is leading the way in this regard and is quickly making inroads with consumers. 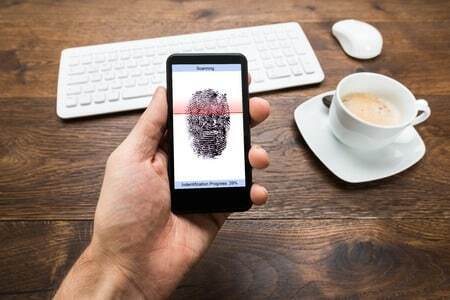 In a survey conducted by MasterCard following their Identity Check Mobile soft launch, 74 percent of respondents said biometrics are easier to use than passwords, while 90 percent said they would use them in the future. As such, nontraditional mobile companies such as HYPR and Gulf Bank are working to create biometric options. The latter company even received two recent World Finance Awards for the use of biometrics in their mobile banking app. 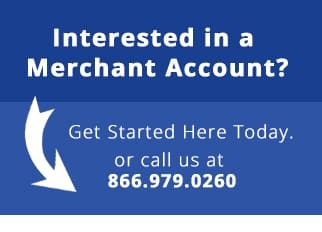 eMerchant expects more developments to occur in the near future as more companies recognize the possibilities of these payment and identification features. *Please note that we only support merchants that are based in the United States or Canada at this time.